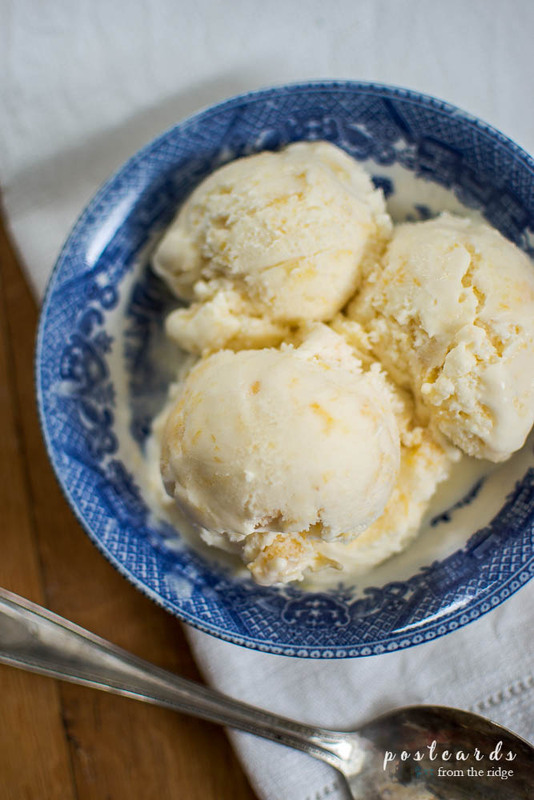 The best peach ice cream recipe. Ever. 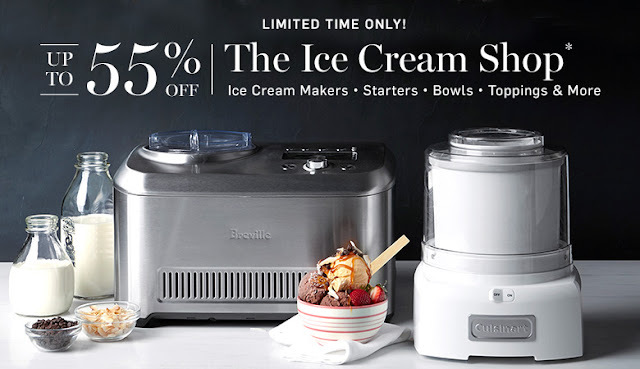 Summertime is the perfect time for making ice cream. 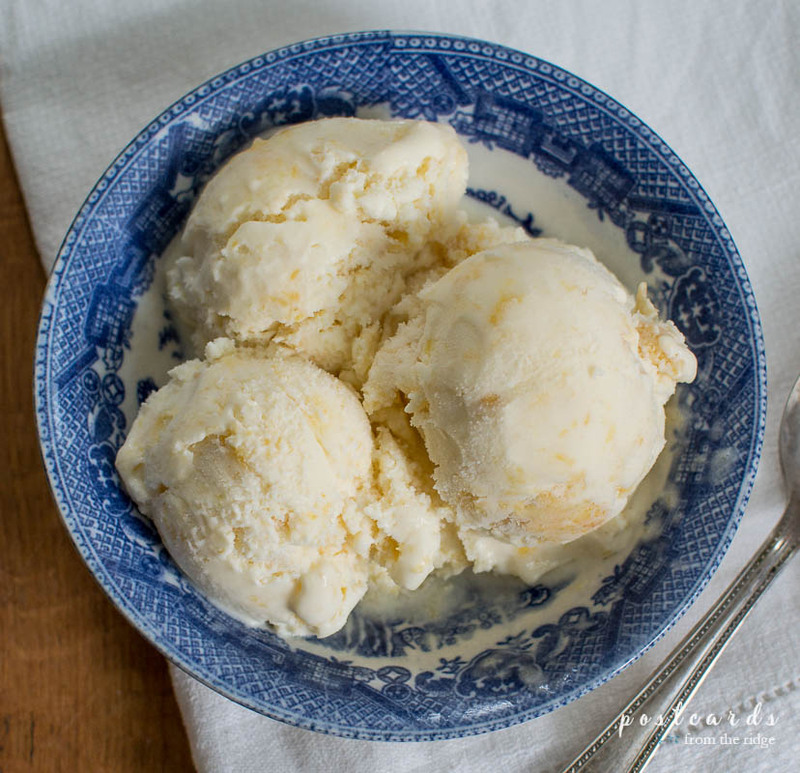 And when it's peach season there's nothing like fresh homemade peach ice cream. I've made homemade ice cream many times before but this was my first time using peaches. Now I'll be making it every year. It's yummy and easy to make. For this simple recipe, I used my Cuisinart Ice Cream Maker. We bought it several years ago and really haven't used it much at all until this year. Not sure why, but I'm so glad we've finally started using it. It's so easy to use! I made strawberry ice cream a few weeks ago using strawberries that my daughter picked. It was all gone before I could photograph it for a recipe post. But I made sure to take pictures of this peach ice cream before it disappeared, which didn't take long at all! 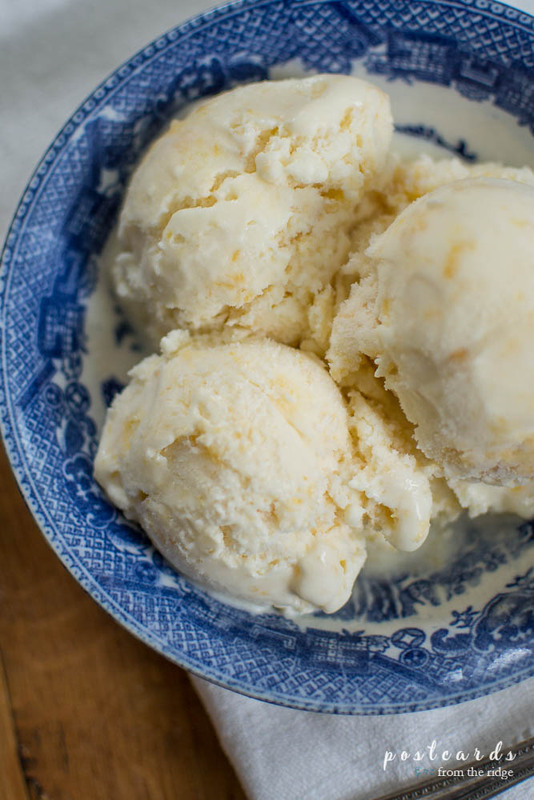 This creamy, classic homemade peach ice cream will soon become one of your favorite summer treats. In a small bowl, combine the peaches with the lemon juice and 1/2 cup of sugar. Gently stir and allow the peaches to soak in the juices for 2 hours. Strain the peaches, reserving the juices. Mash or puree half of the peach slices. 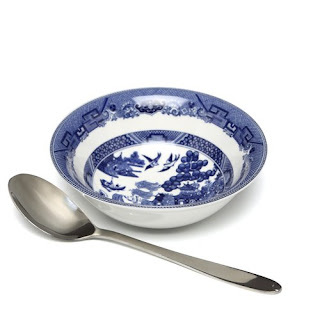 In a medium mixing bowl, use a hand mixer on low speed to combine the milk and remaining sugar until the sugar is dissolved, about 1 or 2 minutes. Stir in the the heavy cream, reserved peach juices, mashed peach slices, and vanilla. Turn on the Cuisinart Ice Cream Maker, pour the mixture into the freezer bowl, and let mix until thickened, about 20 to 25 minutes. Five minutes before mixing is completed, add the reserved sliced peaches and let mix in completely. The ice cream will have a soft, creamy texture. If a firmer consistency is desired, transfer the ice cream to an airtight container and place in the freezer for about 2 hours. Remove from freezer about 10 minutes before serving. NOTE: This ice cream will have a natural appearance of very pale peach color. 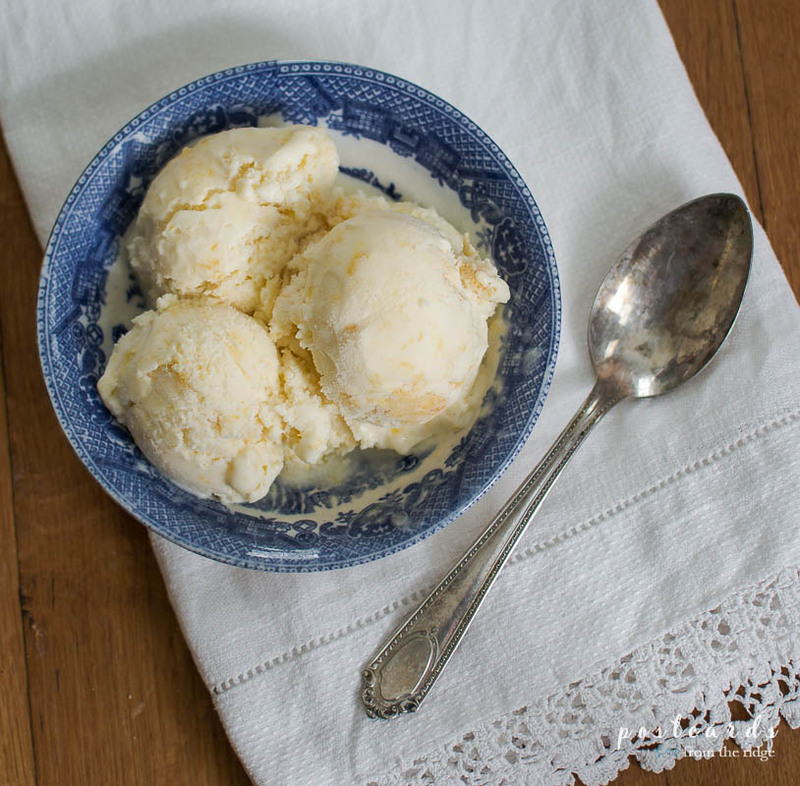 This ice cream is very rich and creamy, so you won't want an extra large portion. Or maybe you will! Let me know if you make it and how you like it. So excited, I love ice cream and will be adding this recipe to my bucket list. I am so excited to try this recipe. I absolutely adore the peach milkshakes at Chik Fil A but this seems so much more healthful (in moderation :). Thank you so much for your recent visit to my blog. I apologize for my slow response. I have been completing a large home improvement project. You have such a lovely blog. Have a wonderful week! Plan on trying this tomorrow. Have some frozen peaches left over from summer. Glad to see a recipe that doesn't have to be cooked. However, a question: Shouldn't you chop the peaches up a bit? Thank you. When checking out the ingrediants for tho=is Gergia Peach ice cream. The only fruit listed was strawberries so I'm a little confused. Are we supposed to substitute peaches because they are a very different type of fruit to work with esppecially because of the juiciness. This recipe sounds great, but I wold appreciate some help. I'm sorry about that. I updated all of my recipes recently to make them printable and it looks like I made an error! I've corrected it and everything is listed as it should be now. Thanks for letting me know.